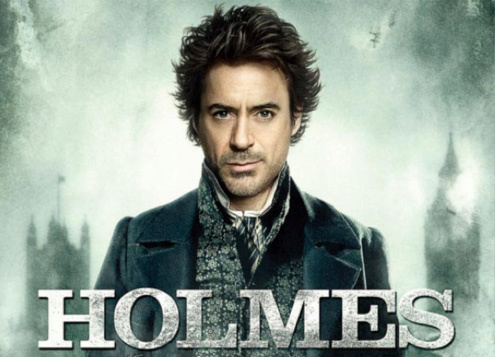 Sherlock Holmes was released on 26th December 2009 (Boxing Day) maximising chances of commercial success by exhibiting the film during a time when cinema admissions are higher than the rest of the year – young cinemagoers are on school holiday and benefitted from the 12A certification (PG13 in the US). Sherlock Holmes is based on the character of the same name created by the prolific writer Sir Arthur Conan Doyle (1859-1830), initially serialised in newspapers and then as novels such as A Study in Scarlet introducing the new characters, Sherlock Holmes (a consulting Detective) and his friend a writer Dr. John Watson. Over the years his characters became so successful he tired of writing about them and decided to ‘kill them off’ in 1893. However, public outcry led to both characters’ return in 1901 in the iconic book The Hound of the Baskervilles. There have been many television and film adaptations of Sherlock Holmes and his exploits over the years, including the current BBC1 crime drama Sherlock and as such, Sherlock (2009) has a base genre template to work on - all that was needed was a few narrative twists, high production values, star marketing and something unique to guarantee critical and commercial success.